Our client is a professional services company specializing in logistics engineering, information technology and international development. They provide resources to assist public and private sector organizations to accomplish their mission through improved productivity, cost savings, and the leverage of scarce resources. 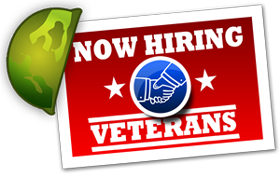 They are currently seeking Motor Equipment Metal Mechanic (CARC Application) in Fort Hood, TX. JOB DESCRIPTION The Motor Equipment Metal Mechanic applies Chemical Agent Resistant Coating (CARC) to military equipment. This labor category can also repair damaged bodies and body parts of automotive vehicles, such as automobiles, buses, and light trucks according to repair manuals, using hand tools and power tools, removes upholstery, accessories, electrical and hydraulic window, seat-operating equipment, and trim to gain access to vehicle body and fender, positions block against surface of dented area and beats opposite surface to remove dents using hammer, and fills depressions with solder or other plastic material. This worker may remove damaged fenders, panels, and grills, using wrenches and cutting torch, and bolts or welds replacement, straightens bent frames, using hydraulic jack and pulling device, files, grinds, and sands repaired surfaces, using power tools and hand tools. Refinishes repaired surface, using paint spray gun and sander, aims headlights, aligns wheels, bleeds hydraulic brake system, and may paint surface after performing body repairs. Physical requirements include (but are not limited to) the ability to lift 60 pounds, pushing, pulling, carrying, stooping, bending, squatting, and reaching. Work environment includes periodic overtime, exposure to heat, dust, cold, and inclement weather conditions. Please note this job description is not designed to cover or contain a comprehensive listing of activities, duties or responsibilities that are required of the employee for this job. Duties, responsibilities and activities may change at any time with or without notice. REQUIRED SKILLS AND EXPERIENCE • 2 years CARC application experience or 2 years’ experience as an Automotive Painter• High School Diploma• Ability to pass Pre-Employment Drug Test and Background Screening• Valid Driver’s License• Ability to obtain a NAC-I DESIRED SKILLS AND EXPERIENCE • ASE Certification• Certified Welder recognized by the American Welding Society• 91E Allied Trades Specialist Please Apply Online: https://chk.tbe.taleo.net/chk05/ats/careers/requisition.jsp?org=C2PORTFOLIO&cws=1&rid=8308 EOE M/F/Disability/Vet Our Client will not discharge or in any other manner discriminate against employees or applicants because they have inquired about, discussed, or disclosed their own pay or the pay of another employee or applicant. However, employees who have access to the compensation information of other employees or applicants as a part of their essential job functions cannot disclose the pay of other employees or applicants to individuals who do not otherwise have access to compensation information, unless the disclosure is (a) in response to a formal complaint or charge, (b) in furtherance of an investigation, proceeding, hearing, or action, including an investigation conducted by the employer, or (c) consistent with the contractor's legal duty to furnish information.